This country sports a strong bunch of green heroes full-time focused on innovation and the crafting of a culture of activism, responsibility and social enterprise. 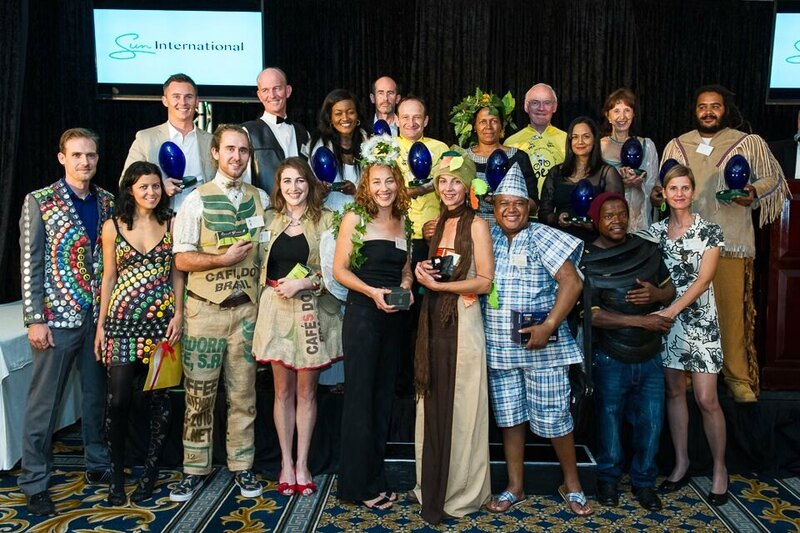 This was celebrated at the recent Eco-Logic Awards gala event in Cape Town. 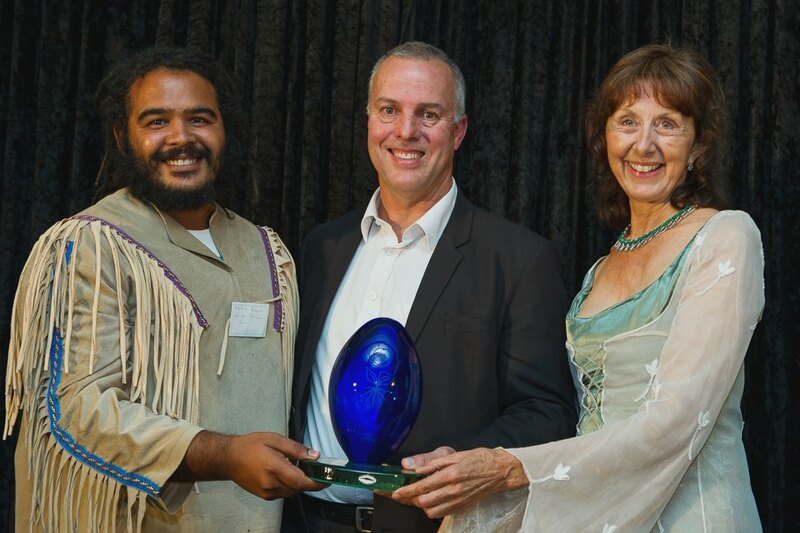 Environmental innovators, movers and shakers were recognised for their efforts at the annual Eco-Logic Awards gala dinner, held at the Table Bay Hotel in Cape Town last week. “This year’s competition was a clear demonstration of how eco-logic thinking is now entering in the mainstream,” said David Parry-Davis, editor of The Enviropaedia and convener of the Eco-Logic Awards. 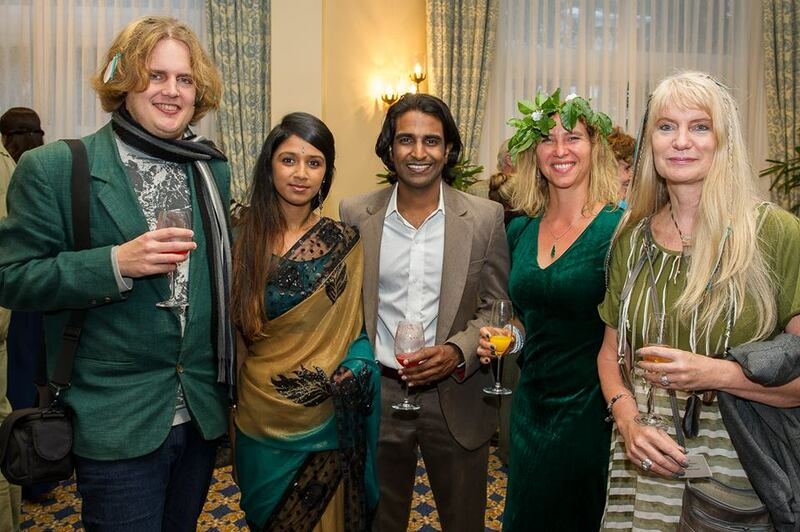 In keeping with the glamorously green theme of the dinner, many of the thought leaders, celebrities, sponsors and top business executives, government and municipal representatives, previous winners and 2015 finalists had a great time expressing their creativity in ecological outfits. Awards were given in 14 different categories. The Biodiversity Award winner was GreenMatter (a biodiversity sector-owned programme led by SANBI and the Lewis Foundation), with silver going to Cape Flats LIFE (Locally Indigenous Fynbos Exchange) and bronze to The Healthy Catchment Alliance: an EWT, WESSA and CSA partnership in freshwater ecosystem conservation and the generation of water-linked livelihoods. The award was sponsored by Nedbank. The Climate Change Award winner was The EcoBrick Exchange, which educates local communities on the making of simple, reusable building bricks – done by filling PET bottles with rubbish – to construct early childhood centres and other community buildings. Wilcote Franchising (eco-friendly paint products) and Confronting Climate Change Initiative with its carbon footprint tool for fruit and wine farmers, earned silver and bronze respectively. 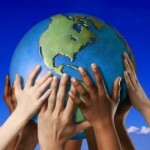 The award was sponsored by the Department of Environmental Affairs. The Eco Innovation Award was won by AqueouSphere, whose bioengineers have developed floating wetland islands that filter and clean water. Runners up were Ekoguru, a system which allows for easy monitoring of energy usage, and Ceiling in a Can, a product which provides a simple solution to ceiling insulation for shack dwellers. The award was sponsored by the City of Tshwane. The Energy Efficiency Award was won by Standard Bank head office with the FAABulous Stove and Riso Africa winning silver and bronze. The award was sponsored by NBI. The Recycling And Waste Management Award was won by USE-IT the eThekwini Waste Materials Recovery Industry Development Cluster. Waste Lighting Lamp Recovery and Recyling won silver and Abomkgereza won the bronze. The award was sponsored by Wasteman. The Transport Award was won by the Bicycling Empowerment Network (BEN), with Mellowcabs taking silver and Imperial Green Mobility winning the bronze. The award was sponsored by SANRAL. The Water Conservation Award was won by the DWS/Eco-Schools Water Project. WWF-Mondi Wetlands programme got the silver and Woolworths Water Stewardship took the bronze. The award was sponsored by H20. 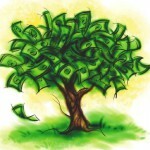 The Business Green Economy Initiative Award was won by GreenFin Financial Services. Woolworths Good Business Journey won silver and Locomute won the bronze. The award was sponsored by NCPC. 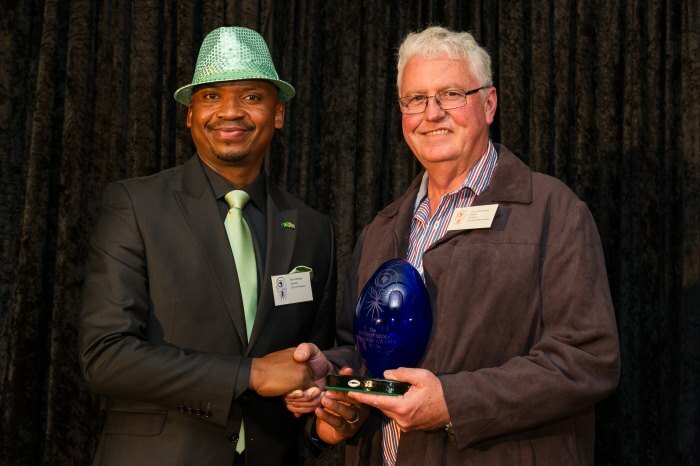 The Municipalities Award was won by the Berg River Municipality’s Fostering Local Wellbeing (FLOW) programme. WESSA and the Nelson Mandela Bay Municipality won silver for its Baakens Valley Community Partnership Programme, and the City of Cape Town was awarded bronze for its Friends and Neighbours: the other side of the fence. 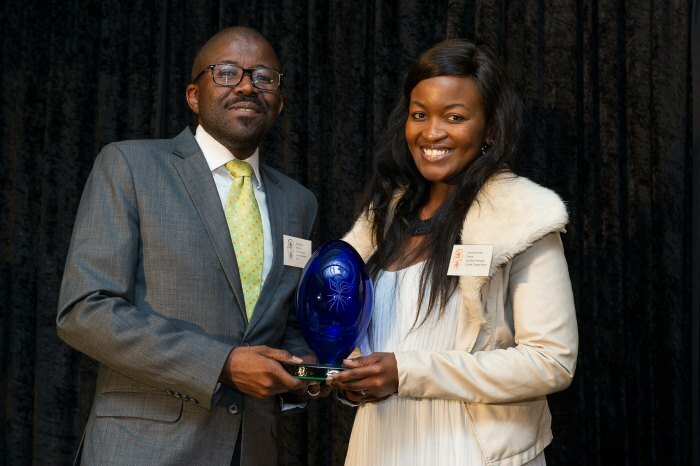 The award was sponsored by Santam. The Eco-Community Award was won by Greyton Transition Town, with the Recycle Swap Shop Initiative taking silver and Mpophomeni Conservation Group winning bronze. The award was sponsored by CHEP. The Eco-Youth Award was won by Marshall Rinquist of Greyton Transition Town. Blake Anthony Combrinck from Knobs and Tassels won silver and Kirtanya Lutchminarayan from University of Cape Town – UCT Green Matter (Fellowship), Green Shift Africa (NPO), Green Campus Initiative (GCI- Student Society) and Fossil Free UCT (Campaign). The award was sponsored by Pick n Pay Climate Change. The Eco Angel Award was won by Nicola Vernon of the Greyton Transition town. Thabiso Nooe from Hlohla-o-lwane the movement won the silver and Susan Barnes from Project Dignity got bronze. The award was sponsored by Belgotex. 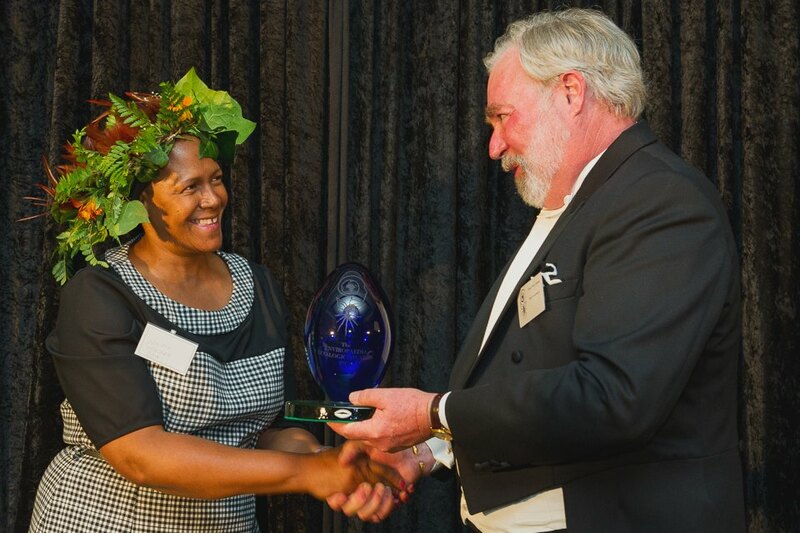 Nosipho Ngaba, the Director General of the Department of Environmental Affairs, receives the Lifetime Achievement Award from Enviropaedia editor David Parry-Davies. The Lifetime Achievement Award was won by Nosipho Ngaba, the Director General of the Department of Environmental Affairs. The award was sponsored by Enviropaedia. The Eco-Warrior Award was won by David le Page of Fossil Free South Africa. Makotikoti Zikhali of the Makotikoti Arts Project won silver and Dr Marco Lotz earned the bronze. The award was sponsored by Soda Stream. Eco Youth Award Certificate of Merit winner Falon Kisundas. Falon was also a semi-finalist in last year’s Miss Earth South Africa competition. See more photos of award winners at the official website. Elma Pollard, editor of the Green Times, was also honoured with a Certificate of Merit in the Eco Warrior category. Thank you to David Parry-Davis and Enviropaedia for your huge work in cajoling reluctant green activists into accepting recognition and for a fun gathering of the forces. You deserve the biggest medal!